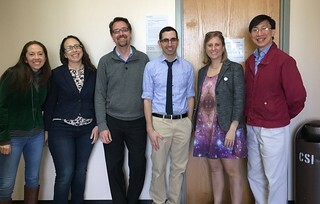 The Astronomy and Astrophysics programs at CUNY are involved in a wide array of research topics, integrating many devoted faculty members with undergraduate, graduate and postdoctoral researchers. 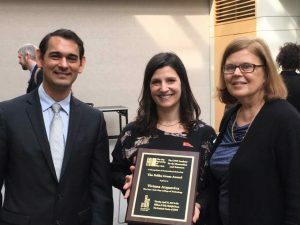 Research in all areas is carried out both at each member’s home institution as well as in conjunction with a research facility program at the American Museum of Natural History’s Astrophysics Department. City Tech (Brooklyn), Hunter (Manhattan), York (Queens), College of Staten Island, Lehman (Bronx), BMCC (Manhattan), LaGuardia (Queens), and Queensboro (Queens). – Graduate program in Physics and Astronomy. Includes 12 month stipend and benefits for 5 years. Application Deadline: January. – Summer research opportunity open to all undergraduates. Includes summer stipend. Application Deadline: Jan/February. AstroCom NYC – Multi-year research fellowships and intensive mentoring for CUNY undergraduates interested in pursing graduate work in Astronomy. Includes 12 month stipend for up to 2 years. Application Deadline: October 15, 2018. Victoria DiTomasso (Hunter ’18) wrote a commentary on her unique career path in astronomy that got published in Physics Today. Victoria is currently a Fulbright Scholar in Potsdam, Germany, and will begin in the astronomy PhD program at Harvard in Fall 19. Munazza Alam, recent CUNY Hunter physics graduate, former REU at AMNH, and member of BDNYC, is a National Geographic grantee. 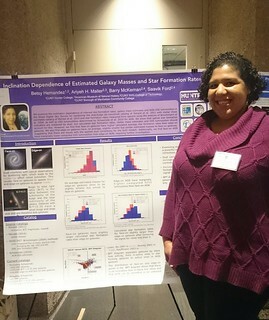 Munazza is currently a graduate student in the astronomy PhD program at Harvard. See the beautiful article in Nat Geo – congratulations!! CUNY GC, and the first to receive a Rodger Doxsey Travel Prize from the AAS. O’Dowd (CUNY Lehman) were co-authors. Telescope Science Institute in Baltimore, Maryland. Paige Giorla (Grad Center) and Joe Filippazzo (Grad Center) won AAS International Travel Awards to attend the Cool Stars 19 conference this summer in Sweden. 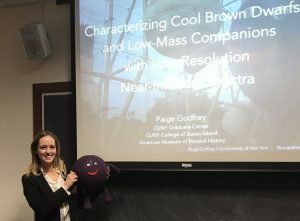 Ellie Schwab (CCNY, AstroCom) won a Chambliss Award for her poster presentation about young brown dwarfs at the American Astronomical Society meeting this January. 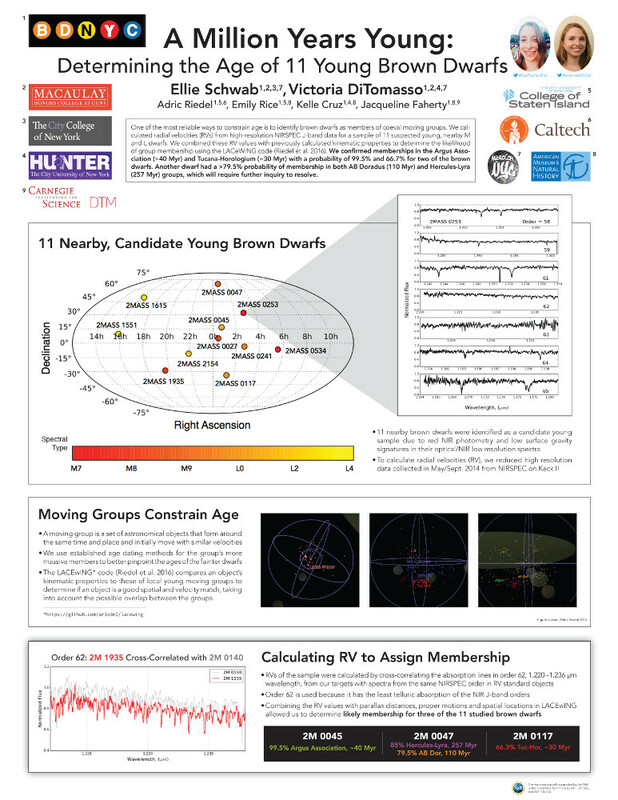 The poster is coauthored by fellow AstroCom student Victoria DiTomasso (Hunter) and their advisors, Adric Riedel (Caltech), Emily Rice (College of Staten Island), Kelle Cruz (Hunter), and Jackie Faherty (Carnegie). 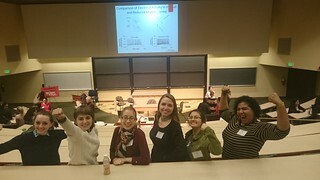 CUNY Astro students participated in the Conference for Undergraduate Women in Physics at Wesleyan University. Betsy Hernandez (Hunter) won an Outstanding Poster Prize. The poster was coauthored by her research advisors Ari Maller (CityTech), Barry McKernan (BMCC), and Saavik Ford (BMCC). 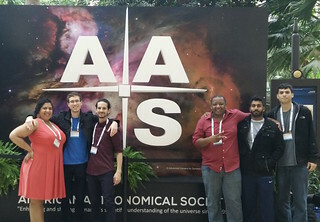 CUNY Astro students were out in force at this year’s winter meeting of the Americal Astronomical Society. Notably, eight CUNY undergraduates and two grad students gave poster presentations and Joe Filippazzo gave his dissertation talk. CUNY was also particularly well represented at the Hack/Maker Day. Check out the News Archive for more!